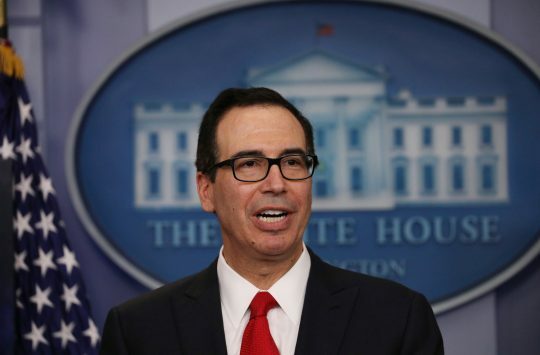 WASHINGTON (Reuters) – The U.S. Treasury sanctioned three Russian individuals and five entities on Monday over malicious cyber activities including providing material and technological support to Russia’s intelligence service, according to a statement. "The entities designated today have directly contributed to improving Russia’s cyber and underwater capabilities through their work with the FSB and therefore jeopardize the safety and security of the United States and our allies," said Treasury Secretary Steven T. Mnuchin said in a statement, using an acronym for the Russian Federal Security Services. This entry was posted in National Security and tagged Russia, Sanctions, Steven Mnuchin. Bookmark the permalink.